Every book about Satanic ritual abuse has been discredited. Of the crimes and suicides that supposedly implicated D&D, almost all cases fell apart on examination; a small number are still debated. In the mid-'90s, people whose lives were ruined by SRA accusations sued psychiatrists and psychologists on charges of propagating false memory syndrome. Some of these suits were successful or settled out of court. Today SRA as a legal charge has basically vanished. In 1995 the US suicide rate started a slow decrease, in 2006 it was about seven per 100,000. On their 1996 album Take Down The Grand Master, the Wisconsin comedy group Dead Alewives presented a "Satanic D&D" parody, sometimes known as "Summoner Geeks" or "Attacking the Darkness," that became just about the only good result of the entire panic. Thomas Radecki resumed psychiatric practice in Clarion, Pennsylvania. Radecki's neglected website still includes a D&D Deaths page. By 1999, with the Columbine High School massacre, the industry learned how to turn the tide. Early Washington Post stories directly linked the shootings to RPGs. Stackpole, consulting with D&D's new publisher, Wizards of the Coast, advocated directly challenging the Post to source its allegations. Music and games marketer Jenny Bendel, working public relations for Wizards, answered journalist calls. "I would say, 'Okay, you've played D&D, right? Are you really going to rush out a "Blame D&D" story when you yourself know that's ridiculous and so '80s?' It worked - most journalists I spoke with backed off." The process took three days. "Until the Post removed gaming mentions from the story, we had serious trouble," Stackpole recalls. "The Post's stories were getting picked up all over the place, which could have become a dangerous and lasting negative legacy." Pat Pulling sold real estate until her death from cancer in 1997. BADD died with her. Larry Pazder died in 2004; his obituary omitted Michelle Remembers. Michelle Proby Pazder no longer gives interviews. 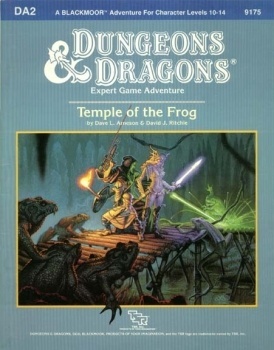 Today's coverage of RPGs is generally informed and favorable. See, for instance, the March 2010 Washington Post story by Jeremy Arias, "After school, students morph into druids and dwarfs." Laurel Sweet's throwback Herald squib garnered hundreds of comments, all attacking her story or defending D&D. Of course, moral panics still arise today almost as often as kids catch cold. The '90s brought brief blips around Magic: The Gathering and live-action roleplaying. Currently we're seeing alarm over online game addiction. I simply and fully condemn such actions, and it's nothing to do with ["Your Mileage May Vary"], but because doing this is wrong. Why, if you concede that others' mileage may vary, do you dial it back? Why do their preferences prevail? [...] Who are you trying to protect? Yourself? Your store owner? "The hobby"? Pah! â€¢	William J. Walton has exhaustively documented the hysteria at his fine gaming advocacy site, also named The Escapist but not affiliated with this site. â€¢	David Waldron, "Role-Playing Games and the Christian Right: Community Formation in Response to a Moral Panic" (Journal of Religion and Popular Culture, Vol. 9). â€¢	A Google timeline search for "D&D suicide timeline" produces contemporary accounts. Allen Varney has written 75 articles for The Escapist. See the complete list at Great Games Experiment.